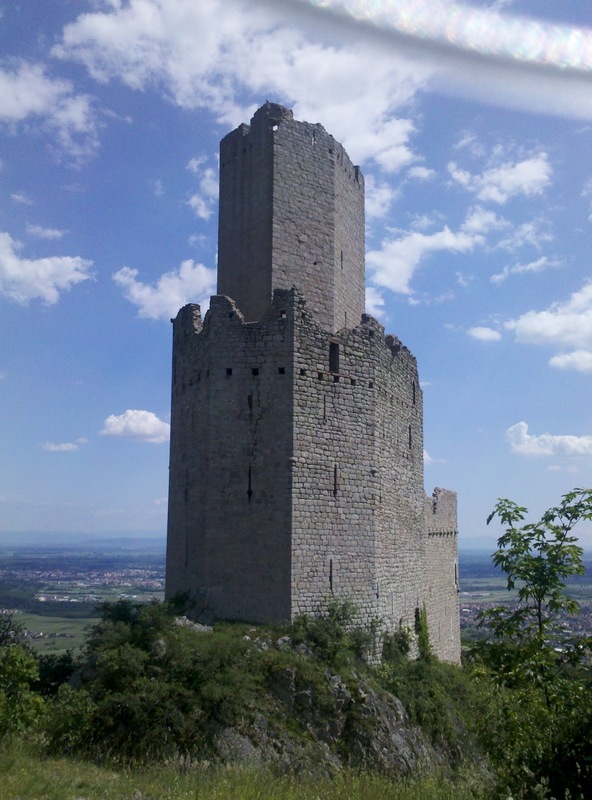 Culoz is the last city on the GTJ and from a viewpoint high above the city you have a spectacular view on what is to come next: you see down on Culoz, the river Rhone and far in the distance the high cliffs of the Chartreuse mountains. In good weather you can also see the snow capped mountains of the Alps, but on this trip I will skip them. After the long descent into Culoz I first rewarded myself with a long shopping trip to the local big supermarket and then headed off to a long walk along the Rhone. I thoroughly enjoyed some flat fast walking after all those climbs and descents. 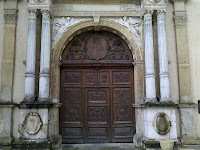 The GR9 coincides here for about 1 1/2 days with the GR65, a pilgrimage trail leading to Santiago. During lunch break I met the first pilgrim, a Spanish cyclist. 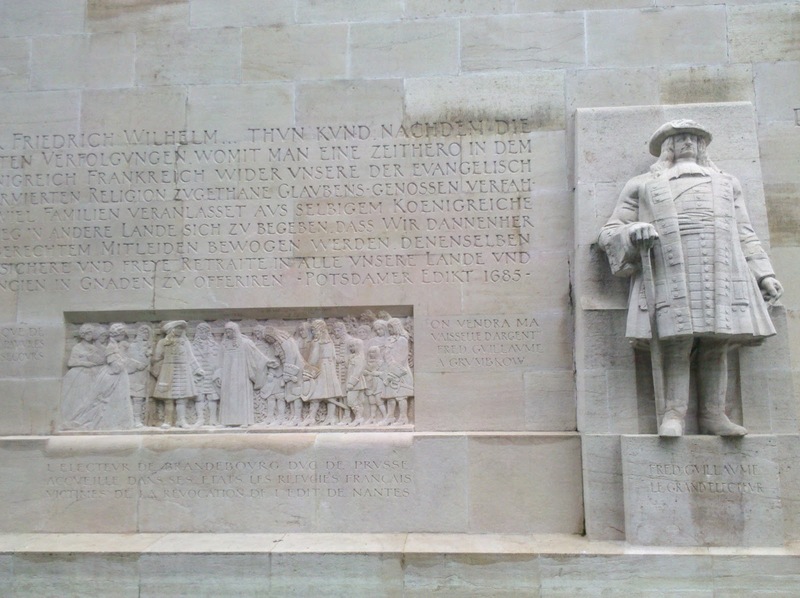 But judging from the guestbook entries in the churches most pilgrims are Germans. No surprise that all the interpretive signposts along the trail were in French and German. For two days the GR 9 now meanders sound in the Rhone valley. Sometimes along the river, sometimes high above it with incredible views. Vineyards are everywhere. I was mostly feasting on wild strawberries though that were growing everywhere. Unfortunately they are not very nourishing and very time consuming to pick, but they taste great. The Chartreuse is a little gem and please mark both words. 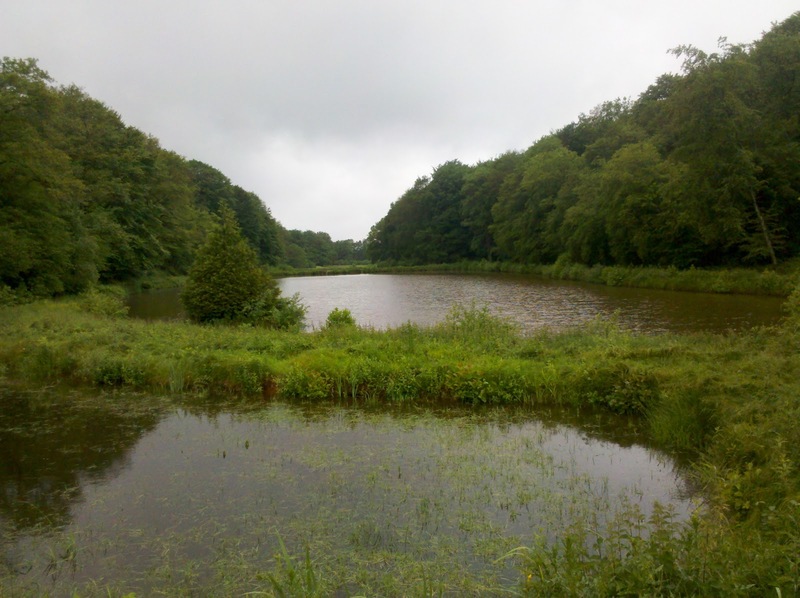 It is just a little regional park and you could traverse it on two days. Which would be a shame as it is incredibly beautiful and there are several trails that would allow you more extended hiking trips up to a week. But keep in mind that this is demanding hiking. Lots of steep UPS and downs plus very rocky terrain with difficult footing and even some climbing stretches with steel cables. As I am running a bit out of time I choose a short route through the park. From St. Pierre d'Entremont I ascended 1,500 m first to l'Alpette de la Dame, walked along the beautiful plateau to the Col de Belleforte and reached there the highest point of my hike so fast: 1,902 m. The views were incredible and the scenery reminded me a lot of a Lilliput Sierra Nevada. I saw several mountain goats and tons of marmots. After that you ascend through a place that is very fittingly called Chaos de Bellefort. Rocks are everywhere and make hiking very strenuous - and finding a campsite almost impossible. After a very uncomfortable night I woke up to a slight drizzle and lots of clouds not knowing that the most difficult part was still ahead of me. I ask had to descend over the limestone cliffs onto the next pass. The rain had made the rocks very slippery and everything was so steep that steel cables were needed to help you down. I was surprised that there weren't any warning signs as this descent could be really dangerous in wet weather. I was happy to reach the pass - and see several day hikers heading up the direction I had just come down. This is close to Grenoble and a popular day hike even on a normal Tuesday. I was fed up with all the slippery hiking and had already taken a bad fall on a muddy trail. I just wanted to get down and have my rest day in Grenoble. Still I want to highly recommend the Chartreuse. Due to its proximity to Grenoble this park is not a secret in France, but very beautiful. Well signed trails, plenty of water, lots of wild life and some of the most spectacular scenery so far on this hike. 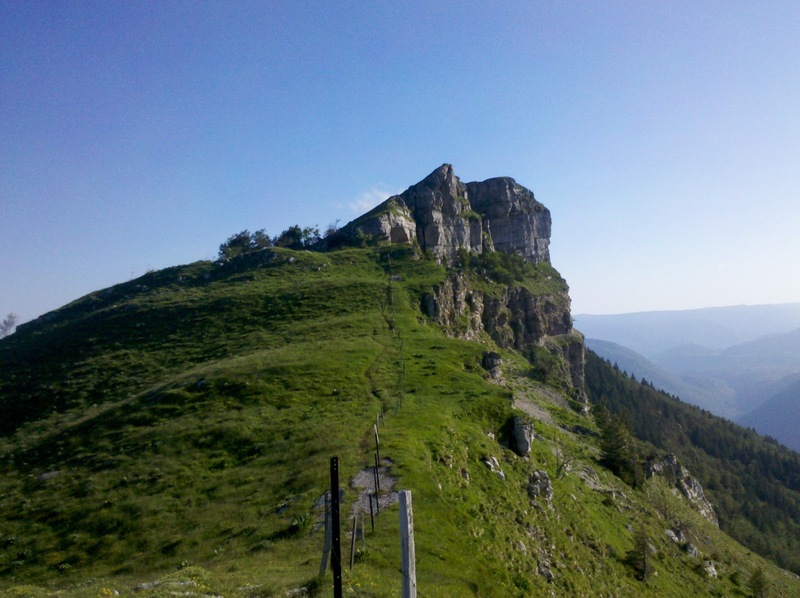 Ideal for hiking trips up to one week in alpine scenery that can already be hiked very early or late in the season and easily accessible via Grenoble. I want to highly recommend the Jura for hiking out of several reasons. 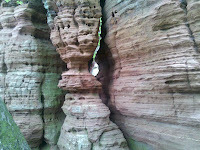 Firstly you will encounter very different highlights which makes for varied hiking. 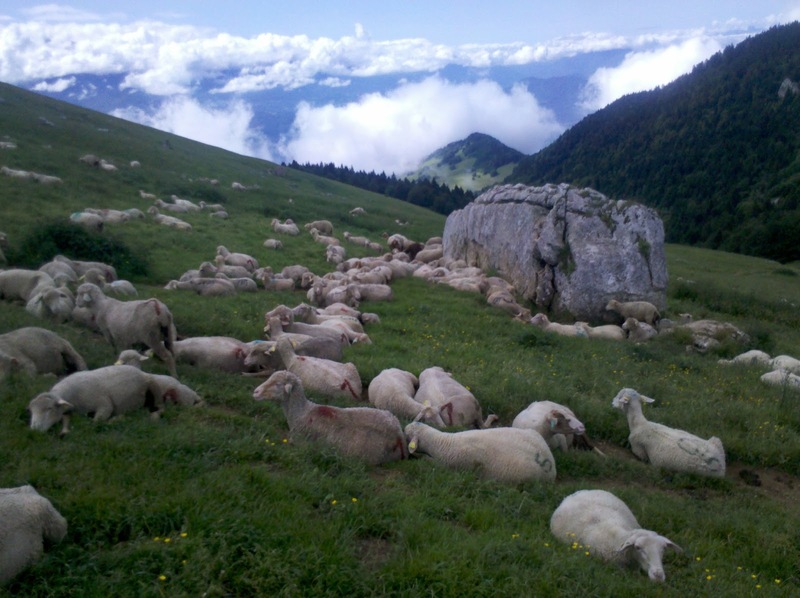 There is the Doubs valley, the lovely mountain pastures and the breathtaking views onto Lake Geneva and the Alps. Secondly the Jura had an alpine flavour without really being that high altitude. This makes it an ideal destination for people who are looking for alpine hiking when it is too early or too late for the Alps themselves. Of course the Reculet is not Mont Blanc, but the Jura is an interesting middle between real alpine hiking and just rolling hills. 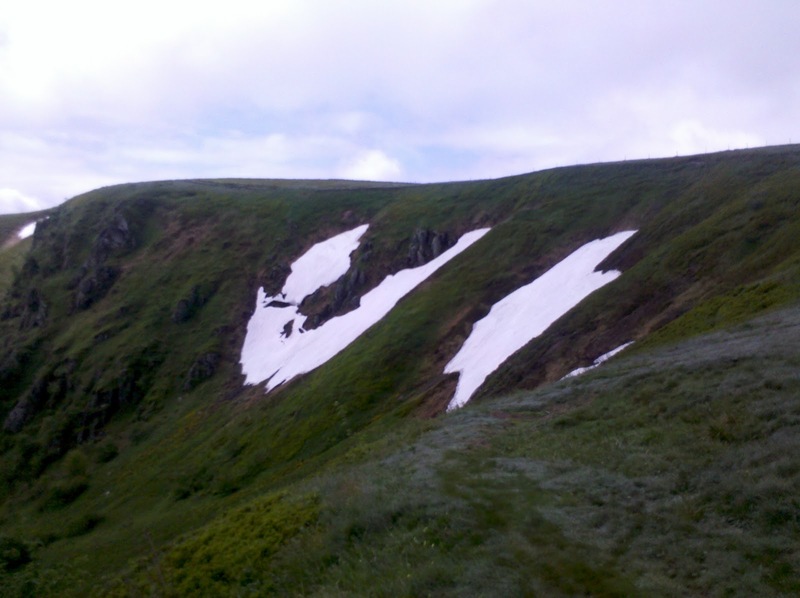 In mid June there was not a bit of snow left and I guess they are hikeable by early May. Plus there are a lot of snow shoe trails. 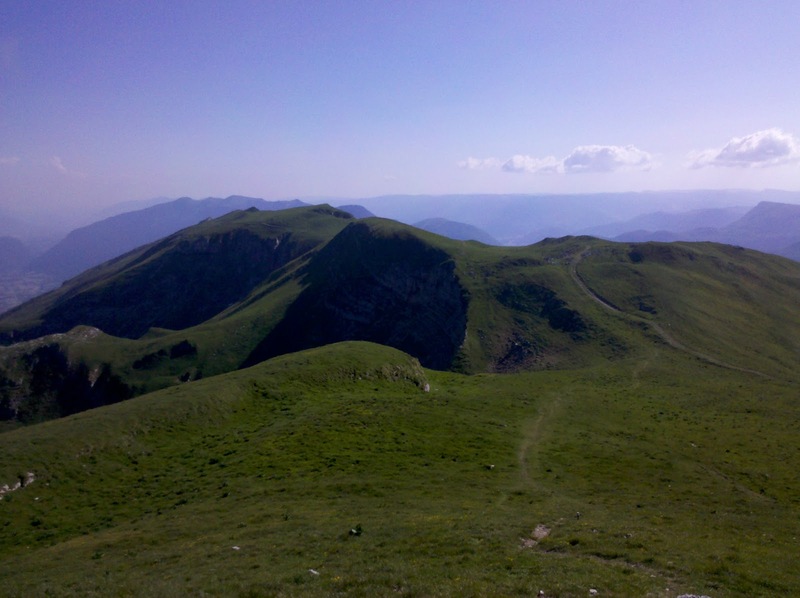 But what makes then most interesting is the possibility of doing various loop hikes as most of the time the GTJ (Grand Traversee de Jura) and its variants are paralleling each other and interconnect. You could fly into Geneva, take one of the almost hourly trains to Bellegarde for just 6,70 EUR and start a loop hike from there. 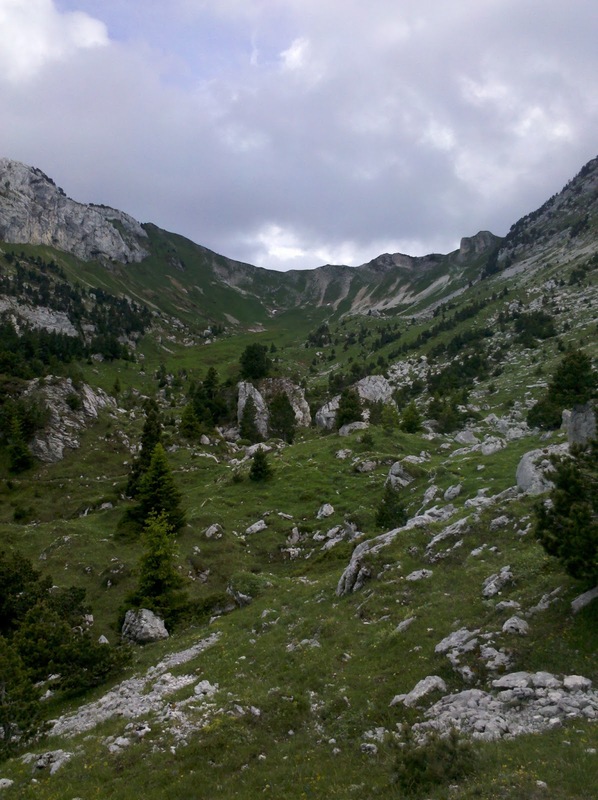 Or just hike from Bellegarde to Culoz in 2 days from where there are several trains back to Geneva via Bellegarde. The ascent/descent Bellegarde/Reculet is very steep and tough, whereas the climb out of Culoz onto the Jura range is long but gentle. 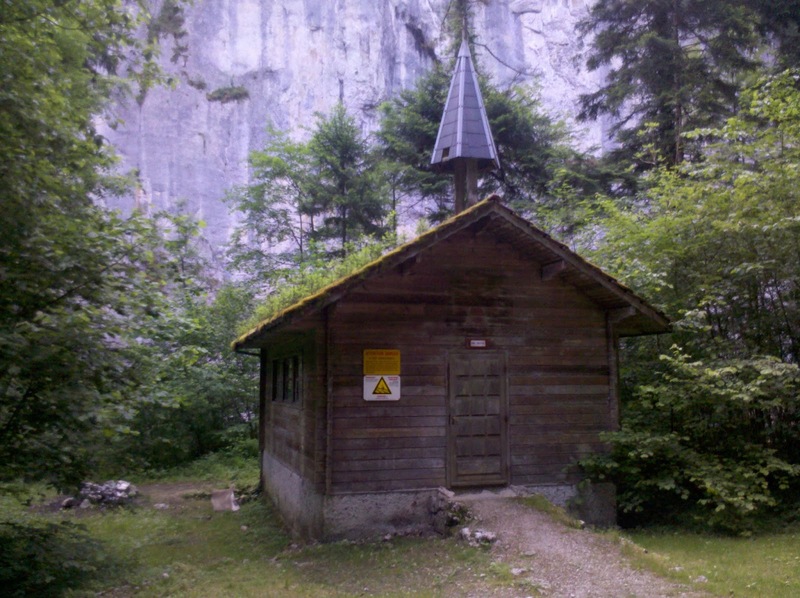 I found wild camping relatively easy, but there are also plenty of refuges and gites. Try to get the relevant topoguide for the GTJ that describes not only the GTJ itself but ALL the variants and possible accommodation.Waymarking in the Jura was much better than in the Vosges and on the GTJ you will not need a GPS, only on the less hiked variants waymarking could be a bit better. 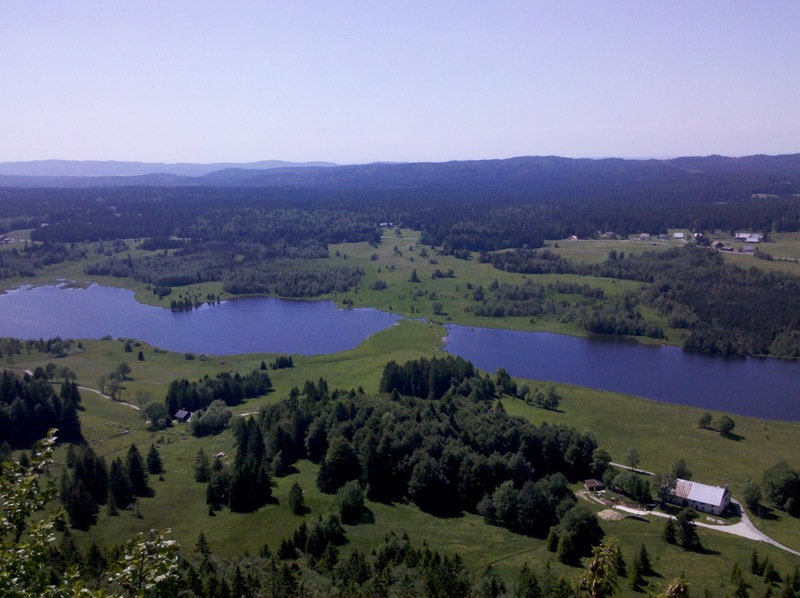 There aren't many hikers in the French Jura, it is still a bit of a secret. The only problem I encountered was the lack of water on the crest, but with a little bit of planning you can easily manage. 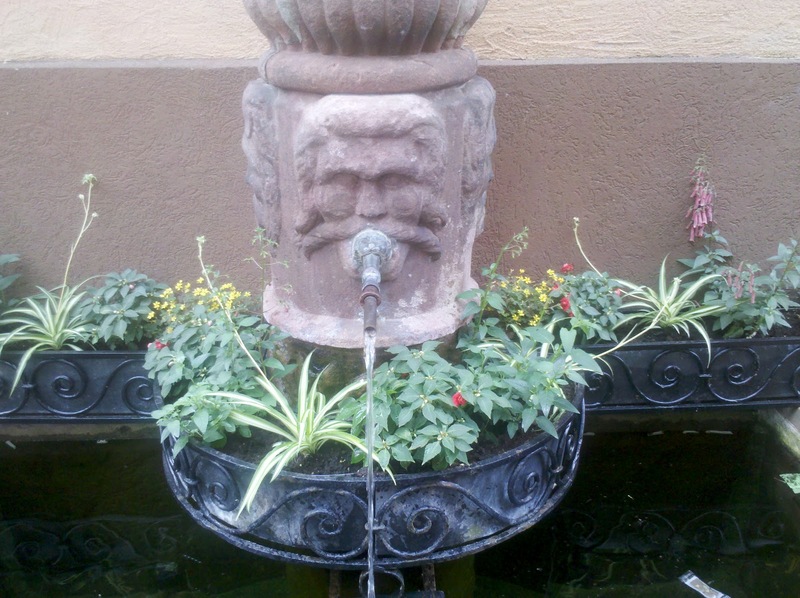 I recommend a water capacity of 4 liters. Now go and enjoy yourself ! 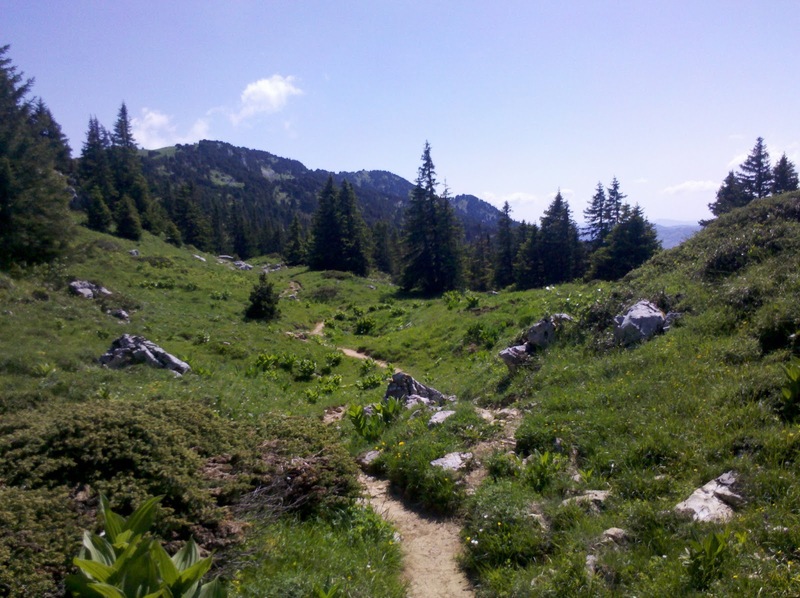 In the Jura mountains several trails are paralleling each other: GR 5, GR 9, all their variants and the GTJ that mostly coincides with one of those. 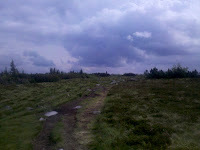 I usually took the trail that was most suitable to the weather... you don't want to be on an exposed crest in the rain. 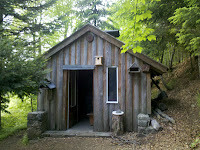 There are shelters along the trail, but unfortunately they are mostly locked and have to be booked ahead. I walked a long day to get to the shelter in the picture and found it completely looked up! I ended up camping in the tiny and sloping hallway because outside there was cattle and cow poo everywhere... Not very hiker friendly! 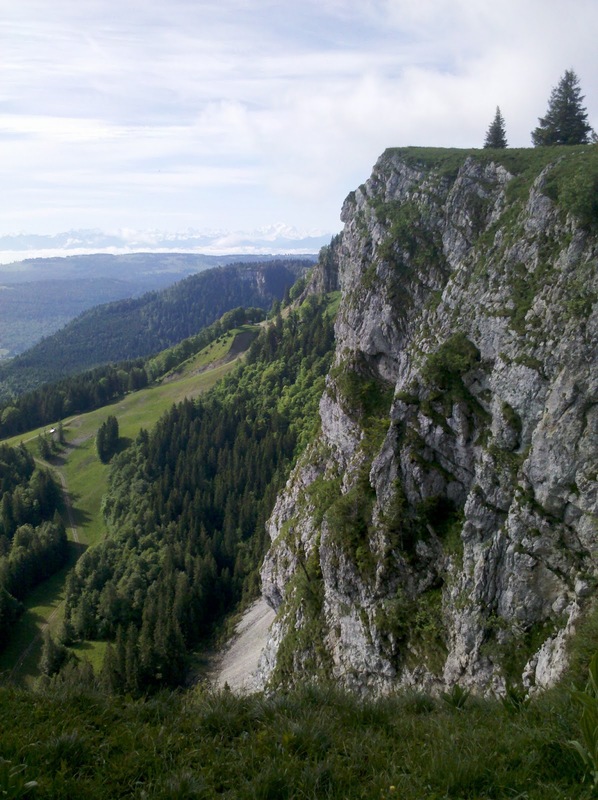 When the weather is good the Jura is truly spectacular. On to of the crest the views are incredible. Very often you can see all the easy to the Alps. I remember coming up a steep mountain side and being in a really grumpy mood because of the exhausting ascent when all of a sudden the trail was topping out and I could see across the next valley... all the way to the snow capped Alps. My mood improved rapidly and I could not get enough of the breath taking view. The stretch towards Geneva is the most outstanding. 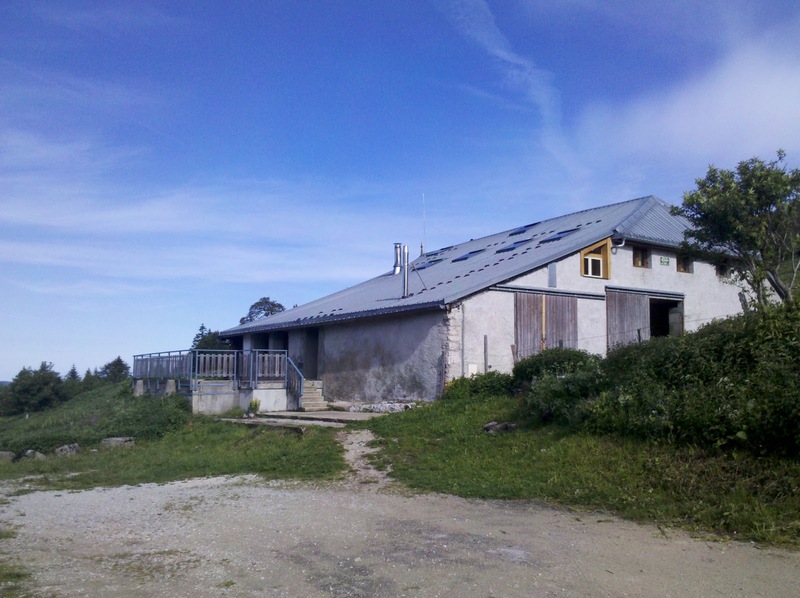 You are climbing up to Crete de Neige, the highest point in the Jura range, shortly followed by the Reculet, almost equally high and very prominent. The views onto Lake Geneva and the city are incredible, and I was very lucky to have fantastic weather. You then follow the crest at an altitude of around 1,500 m for the test of the day. Views to both sides of the crest are fabulous, but the hiking is incredibly hard. Constant steep ups and downs and of course there if no water on top of the crest. And although tree line is up to 1,500 m I seemed to be hiking mostly in the sun. My next rest stop was Geneva and after my rather frustrating CS search in Basel I started to send out requests early - but again only declines and no answers until a woman took pity on me. Couch surfing in big cities seems to be a big problem as potential hosts get swamped with requests. The descent into Bellegarde from where there are lots of train connections to Geneva was a real bone crasher. You loose more than 1,000 m of altitude on steep and slippery slopes. Luckily it didn't rain that day. Exhausted I arrived in Bellegarde but in time to get into Geneva before the Tourist information closed. Another hiker I had met in a refuge the night before was so fed up that he contemplated giving up on his hike. In Geneva everything went according to plan. I got a city map, found the guidebook for my next section and made it to my CS host. The next day was spent relaxing in Geneva. Luckily the municipal museums are free so I could do some inexpensive sightseeing in an otherwise really expensive city. Shopping for the next stretch of my hike was expensive but I wanted take advantage of the Swiss supermarkets that carry dehydrated packaged food- something that does not exist in France. I enjoyed walking around not doing much. I only made it to two museums... And after another night in a bed (or air mattress to be correct) I am back on the trail today- with a 1,000 m ascent waiting for me. After I had regained my hearing I was more than happy to continue my hike - despite the bad weather forecast. The Jura was quite different from the Vosges mountains, but equally beautiful. The scenery was more alpine now, still lots of forest but interspersed with lots of meadows and pastures complete with happy cows that must be all deaf from the ringing of their cow bells. 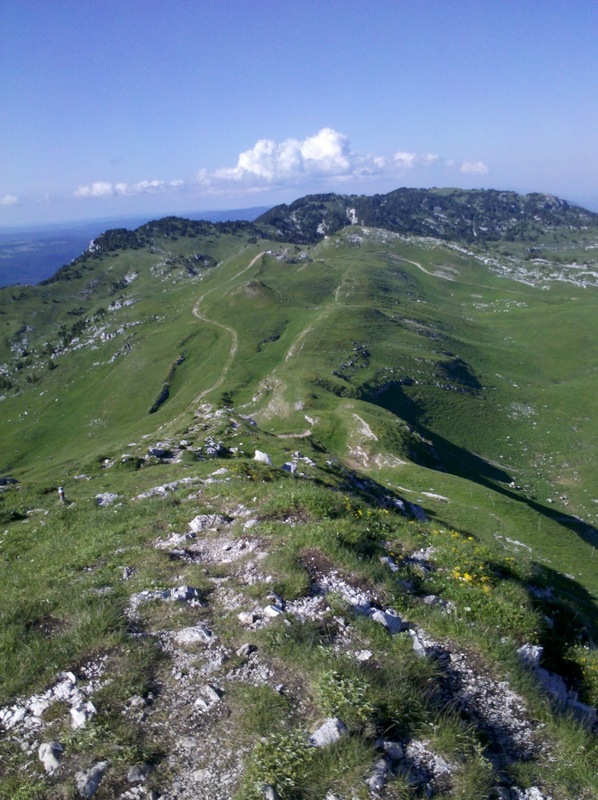 I was still on the GR 5, but it was now called "Grand Traverse de Jura". I was following the French-Swiss border, first along a mountain range and then along the river Doubs. What had looked quite inconspicuous on the map turned out to be another highlight of this trip: the walk along the river Doubs. 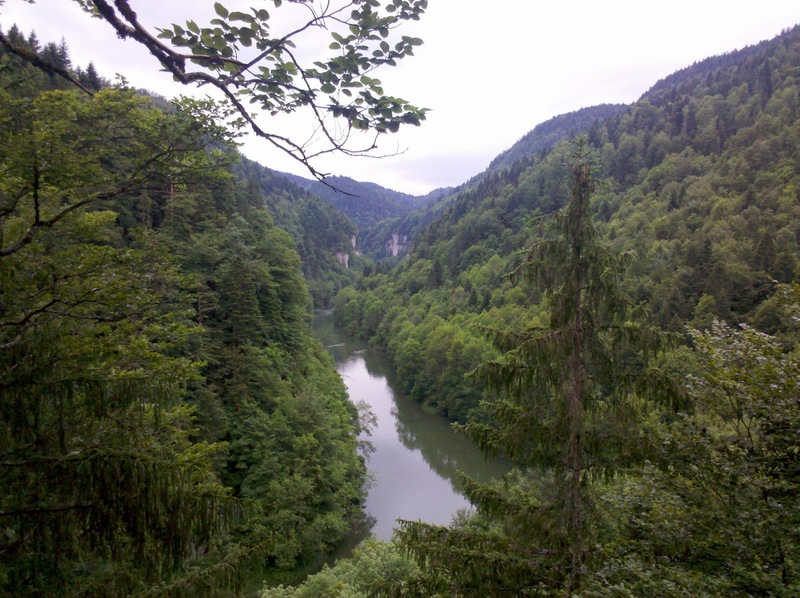 The Doubs can be anything from a quiet wide river to a trading white water canyon and the GR 5 shows you all those aspects. When you first meet the river you encounter a white water race course and that sets the tone for the next half day. You always follow the river closely as it gushes down its narrow bed mostly on steep single file trail. A much as I liked the spectacular scenery I started to wonder where I would be able to camp... Nothing but a narrow trail and steep river banks. Finally the trail came down to the river and there where some little patches for a tent but there were also several fisher men and nowhere to hide. I did not want to take a chance and continued hiking until I came to a huge parking lot by a hydroelectric power plant. Lots of flat space but I did not really want to camp at such an easily accessible place. I had become somewhat desperate when I finally spotted the shelter which was an old wooden chapel. Huge and clean it seemed perfect but it was next to the parking lot. Could I dare it? Yes, I could especially since I had discovered that you could lock the chapel from inside and the stain glass windows where so high up that you could not see inside. I spent a lovely night there and when the last fisher men had left the parking lot at 10 pm I was all alone until the first tourists arrived at 9 am in the morning. The next day the spectacular river walk continued first along a wide open bend in the river and then along an even more spectacular canyon. 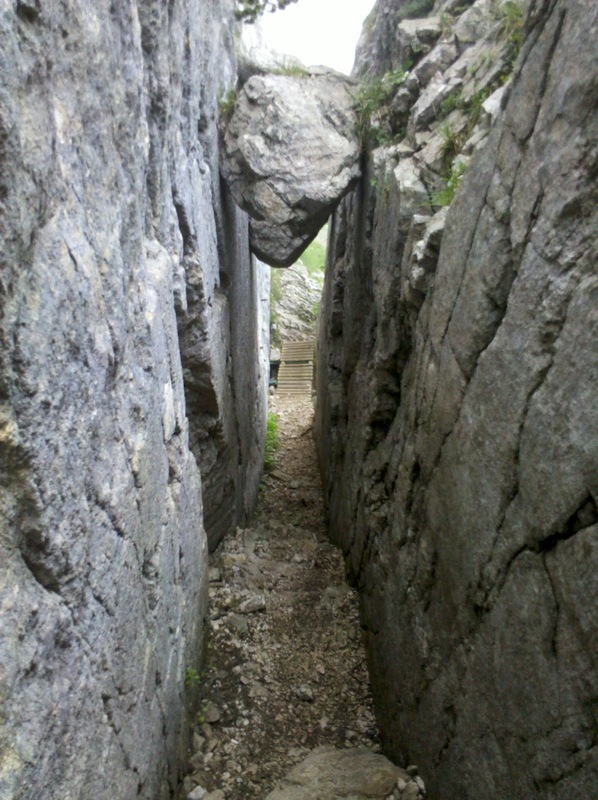 The valley became narrower with steep high rock walks on the Swiss side. The trail was getting more and more difficult with lots of blow downs and slippery ascends and descends. It felt like in a wilderness, not like in the heat of Central Europe. I was much slower than expected due to the difficult terrain but it was definitely worth it. This stretch was one of the most fascinating river walks I have ever done and I can only highly recommend it. I came across two other shelters but it was too early in the day. Strangely enough I didn't encounter many other hikers, only a group of disoriented Germans. After one and a half day the trail finally turned away from the river - and the weather turned bad again. It just rained and rained and rained and when I saw on the forecast that it would rain straight through the next day I for once did the right thing: I detoured into Pontarlier, a nice little provincial town with a youth hostel. And thanks to my smart phone I knew that beds were available. I showed up looking like a drowned rat, but my mood immediately improved when I was given a double room for the price of a dorm bed. After that I did not complain any more about the lack of language knowledge of the receptionist nor my not functioning key card. I had a lovely room complete with shower and toilet. The hostel kitchen was tiny but despite two grumpy Germans I thoroughly enjoyed my sausages I had bought on my way to the hostel. The next morning it was still training cats and dogs and I visited every possible museum and church in order to avoid hiking in the rain. But at noon I had to face it: 4 km walk along a busy highway in order to get back to my trail. But the forecast was good and I well rested. 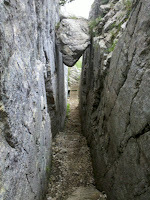 The trail does not follow the Doubs after that but it passes its source later on. I was expecting a tiny trickle but instead there is a huge stream already gushing out of a subterranean cave system. Very impressive - as is the rest of the Doubs river walk. After I had finally secured a CS host (or vice versa)e everything fell into place. Thanks to my unexpected detour on another GR I even arrived earlier in Belfort than expected. A short visit to the Visitor Information solved another problem: how to get back to the GR 5 after my visit in Basel. Thanks to the maps on sale I found a walk along a canal. Very short and flat and fast... I even arrived in Basel 2 hours before my host wanted to meet me which gave me time to do all my errands first. I had a fantastic stay in Basel: a very nice host, a room for myself and unlimited access to the internet with a German keyboard. No surprise that I hardly made it out of the house but I finally managed to make it to an interesting but awfully expensive Jeff Koons exhibition. The museum had the advantage of being so close to the German border that I had German net reception and could even make some phone calls. Still I felt very bad about having spent 25 CHF on a simple exhibition and had to comfort myself with going resupply shopping at Lidl. I had such a comfortable stay that I left very late the next day to do my canal walk back to the GR 5. Unfortunately next to the canal was not only a very noisy motorway but also a lot of meadows. I suffered a bit of hay fever and my eyes were itching. Still I made it to a nice forest before sun set, had dinner and slept like a log. Next morning started with a very bad surprise: When I woke up I could not hear any more in one ear!!! There had been no indication of a hearing loss the day before and I could not believe what had happened. I had suffered from hearing loss many years ago and from back then I knew that some causes of this need immediate medical attention to avoid permanent damage. On the other side it just felt like a tube congestion. No matter what I had to get out of bed first and start walking. Maybe the hearing would come back on its own. But at noon things had not changed a bit. The different hearing abilities in the two ears were not only annoying but also influenced my sense of equilibrium. I decided to have lunch first and then decide what to do. I bought a loaf of bread at a little village store and was just looking for a place where to sit and eat when I saw another hiker with a Z pack. A Z pack is an ultralight backpack made in USA and not something you expect to see on a trail in France. I introduced myself in rusty French and it turned out that the other hiker was an American.When I had told him about my Triple Crown and all the other hiking I have done he took out his wallet, gave me 100 EUR and told me that he wants to be my sponsor. Wow! Nothing like that has ever happened to me before. After waiting only 15 minutes it was my turn and I explained my problem in broken French. The doctor looked into my ears and throat, took my temperature and explained that all this was due to hay fever. He gave me a long prescription and charged me only 23 EUR! To cut a long story short: I was sceptical but went to a pharmacy to get the medication. And after only one dose of nose spray the congestion cleared and within 15 minutes I could hear perfectly well again! 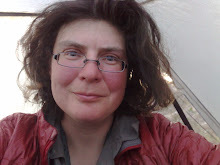 With that good news it did not matter that I hiked directly into a thunder storm and spent the evening in my wet tent. I still suffer from hay fever now, but no more hearing problems! I have hiked the whole Vosges mountain range from the German border to Belfort. 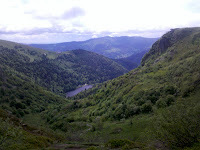 The Northern part of the Vosges is still below 1,000 m and Douglas firs dominate. The further South you go, the higher the mountains and the more daily climbing you will have to do. Also, a lot of places along the crest are not forested and therefore very exposed. This is lovely with breathtaking views if the weather is nice - but very uncomfortable when the weather turns bad. On my second last day I had an almost complete white out situation due to fog! The trail marking is decent but not great. You would get by without a GPS and only a paper map or guide book, but you might get lost a couple of times. No big deal, but it can be time consuming to navigate. Do not trust the times given on the sign posts - although mostly correct I have encountered various signposts that were one hour or more off! There are very few shelters along the trail. There are some huts (abri) that are permenantly open and they are very comfortable and luxurious containing even a wood burning stove and benches and tables. But there are not too many of them and they are never around when you need them. There are also official refuges run by ski and hiking clubs but unfortunately those are usually locked and only open on weekends. During the week they are completely locked and not even an emergency shelter room is open. On weekends you will see plenty of cars parked around them. Apparently they are more used for family and friend reunions than by hikers. Although you will have to hike on forest roads and sometimes even on pavement a surprisingly high percentage of the route is on single file trail. The Southern part of the trail follows a tourist road called "route des cretes". I normally hate road noises when I am hiking but in the Vosges this was not much of a problem. There is very little traffic on the road (mostly tourists) and very often you don't even see it. Only on weekends noisy (German) motorcyclists can be a bit of a problem. This seems to be a very popular route for bikers - but also for cyclist. So if you are after a pure nature experience the Northern part of the Vosges is better where the GR 53 and GR 5 are far away from roads. And last but not least: Due to the high altitude there were hardly any ticks! Only a few in the North, but none in the South. The Vosges mountains have definitely been the highlight of this trip so far. If you like hiking in the forest this is the trail for you. I had really been looking forward to this section but my expectations were even surpassed. And this was about time as this hike so far had not been the greatest hike and I had not been too enthusiastic so far. 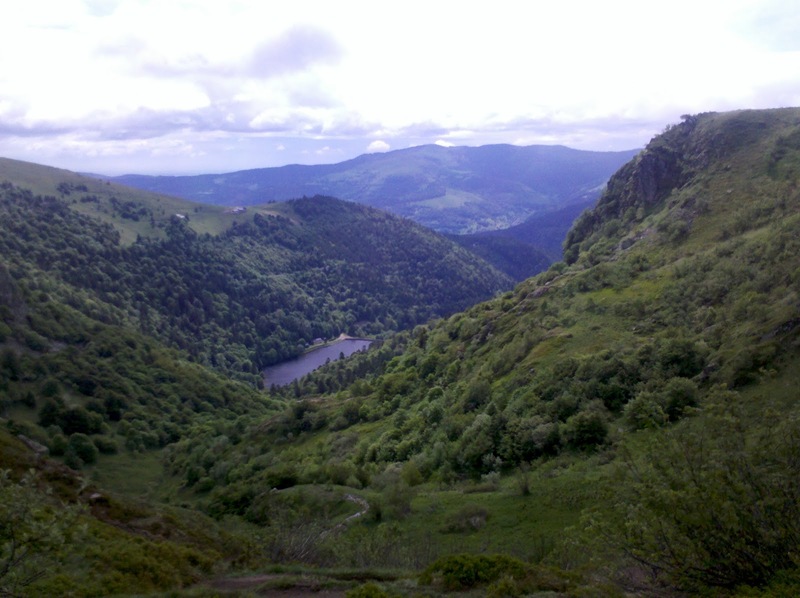 For year I had wanted to hike the Vosges and had already bought the relevant French topoguide guidebook when I was still a part of the German workforce. Now it came in very handy. The nice part already started in the Southern Palatian Forest, where I was surprised by fantastic huge rock formations on the French-German border. But most impressive was the forest: Continuous old growth forest for days on end! 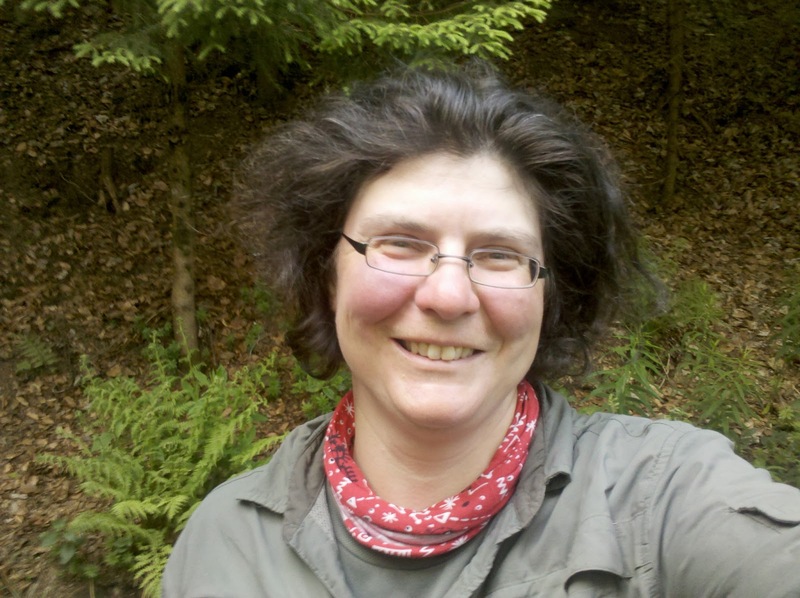 One third of Germany is forested, too - but in Germany it is mostly bigger or smaller patches of forest interspersed with farmland and villages. In the Vosges it is forest wherever you go. Very little meadows or farmland and not too many villages. In Germany you will find a lot of spruce plantations that can be quite boring to look at (albeit good for camping...) whereas in the Vosges you will mostly find very old mixed forest. Especially in the Southern Vosges there are a lot of Douglas firs, a tree that is native in North America and has only been introduced into Europe in the 19th century. There were so many of those majestic trees that I felt like hiking in California. The smell of those trees was so familiar that I felt like on the PCT.... It must have helped that all of a sudden summer had come back with nice temperatures in the mid 20s! But the forest was not the only nice thing. After the rather ugly German Eifel villages I was now back to beautiful romantic little villages with timbered old houses. Plus around every corner seemed to be the ruin of a medieval castle or fort. Every mountain top (and there are lots of mountain tops believe me!) was crowned with some ruins. And of course the trail had to visit every single one of them.... My daily amount of climbing skyrocketed - and my interest in medieval ruins plummeted. I must say that after a while they all tend to look the same... 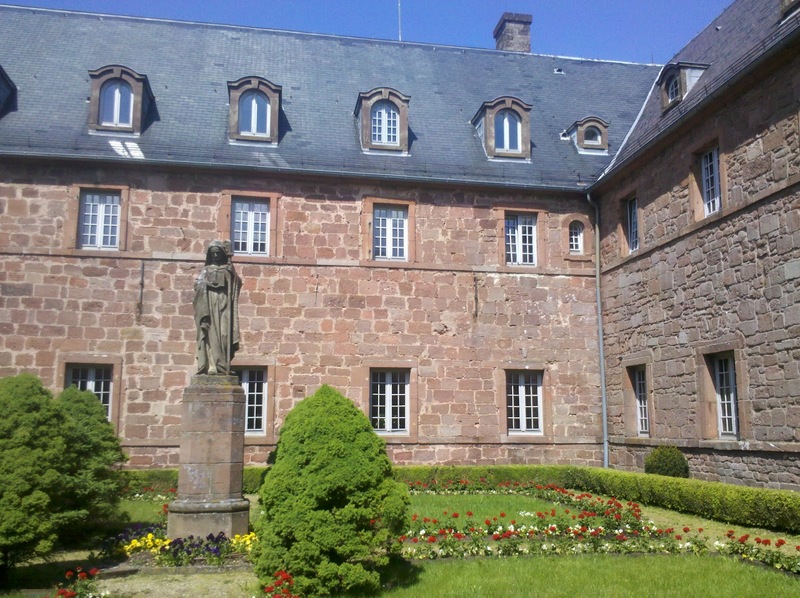 Some of them like Haut Koenigsbourg have been completely restored but I always happened to be there outside their opening times. The same happened at Struthof, a former German concentration camp. I arrived after hours and missed the documentation centre, but at least could see the former installations. Scary, to say the least. German history was everywhere as the Alsace was once German and changed hands between Germany and France various times over the centuries. Almost all villages and towns have German names and even most family names sound German. 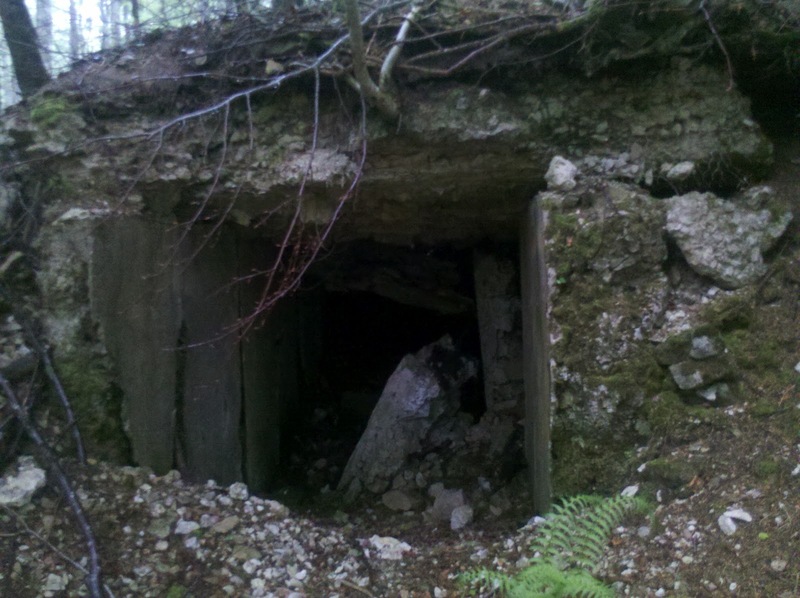 A lot of bloody battles took place here during WW I and therefore I came across several war cemeteries and old military installations that had survived a hundred years by now in the middle of the forest. It was hard to believe that here in the peaceful beautiful forest incredibly bloody battles had taken place a century ago - now only placques and some concrete installations are the only reminders. The most impressive sight for me was Mount St. Odile. 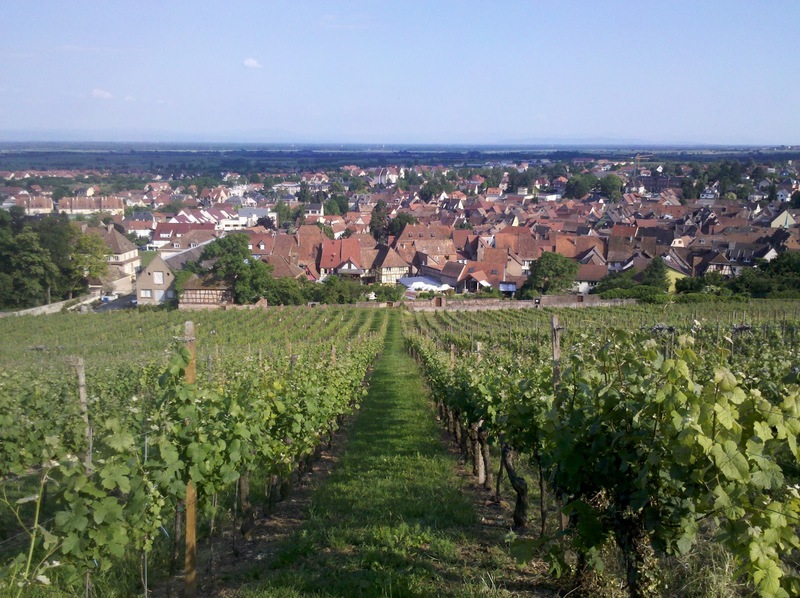 This 763 m high mountain is dedicated to St. Odile, the patron saint of the Alsace. 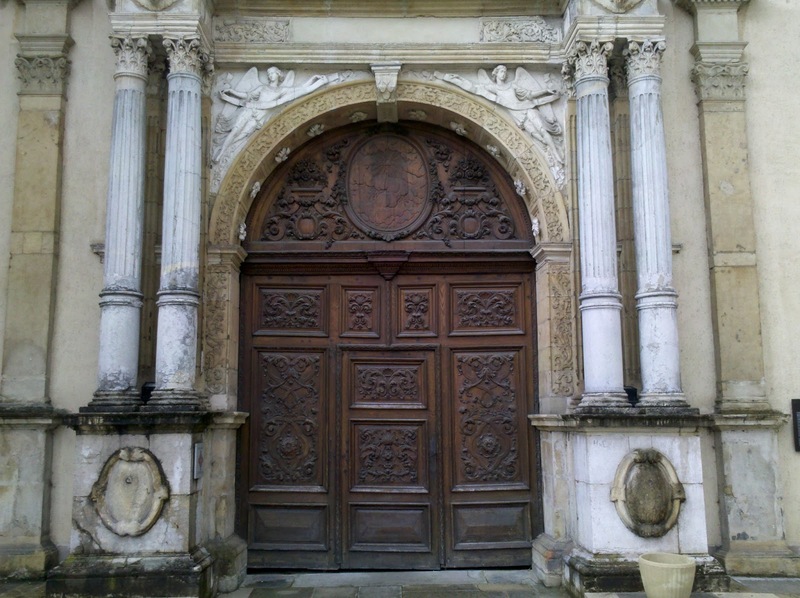 In the 11th century a chapel and monastery was erected and the relics of St. Odile are still kept there. This is a place of "eternal adoration" meaning that the chapel is open 24 hours and pilgrims are praying there around the clock. I visited over the long Pentecost holiday weekend and the placed was teeming with tourists. In fact it felt more like a zoo than a pilgrimage place. I arrived around midday determined to find a place where to recharge my phone and cook same food. I then found the pilgrimage hall that turned out to be a huge cafeteria with cheap food. I immediately decided to give up on cooking Top Ramen Noodle soup and treated myself with chicken and vegetables for 5,80 EUR. I situatued myself in a corner with an electrical outlet and recharged my phone with electricity and myself with food and rest. It was interesting to watch the masses of people, half of them Germans. But the most impressive sight at Mount St. Odile was the Stations of the Cross, huge terracotta reliefs put high up on the rock faces of the mountain. The further North I got the higher become the mountains. Soon I was hiking above 1,000 meters which was very nice for impressive sights, but very exposed and tiresome when you had to descend into a valley only to have to climb up again. As long as the weather was nice this was ok, but in the end this deteriorated greatly. It became very windy which was a real problem on the sometimes exposed crest and when it started to rain the situation became very uncomfortable. I had decided to take a rest day once I got into the vicinity of Belfort and two days before the weather became unbearable. One morning I woke up and could hardly see 50 m due to fog. Unfortunately this was the day were I was supposed to hike across Ballon d Alsace, one of the highest points in the Vosges. The forecast was for wind and continuous rain. No thank you! Luckily I had the Garmin topo maps on my GPS and found a low altitude alternative route. Instead of the GR 5 I detoured on the GR 592. It was a bit weird to hike only with a GPS and now paper map whatsoever. It was difficult to estimate distances and judge were you are. But the weather was so bad that I was glad of not being on an exposed ridge and I even arrived in Belfort half a day earlier than expected. 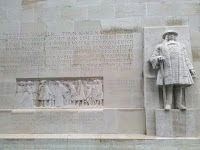 ﻿﻿﻿﻿﻿﻿﻿﻿﻿﻿﻿﻿﻿﻿﻿﻿﻿﻿﻿﻿﻿﻿﻿﻿﻿﻿From Belfort I had decided to take a trip to Basel in Switzerland and have a rest day there. As there were a lot of Couchsurfing hosts in Basel I did not expect any problems, but it turned out the be the hardest quest for a CS host I had ever experienced. I had sent out 11 requests but half of them declined and the other half did not bother to answer. The night before I still had not found a place where to stay and I had already resigned to the idea of staying at a hostel. I set up my tent in the pouring rain and checked my smart phone a last time. Unfortunately I had very bad internet connection at that place.... It took more than 5 minutes to download a simple email that contained the redeeming message that a lady had taken pity on me and agreed to host me the next day. Hurray!!! Of course I wanted to respond immediately and confirm that I am coming - but internet coverage was not on my side. I tried for half an hour but could not send out a message. Finally I put on my wet and muddy boots again and walked around in the forest in the dark in order to find a place with better reception until I could finally send my message. I fell asleep very relieved. It had stopped raining over night but of course it started pouring again the moment I had put down my tent. I still had to find out where and when to meet my CS host so I was desperate to find a place with good reception. So I was walking along the muddy trail staring at the reception columns of my phone - and promptly slipped in the mud. Naturally I wanted to rescue my phone and fell flat face into the muck onto my trekking poles that promptly bent. I saved my phone, but the whole situation must have looked like straight out of a slapstick comedy. In the end everything worked out great. I quickly arrived in Belfort where I found a nice cemetery with running water to wash up, took a train to Basel, went shopping for some outdoor stuff and met my CS host. After having a shower and washing my clothes life was good again. And today I am having a lovely day off with internet access!